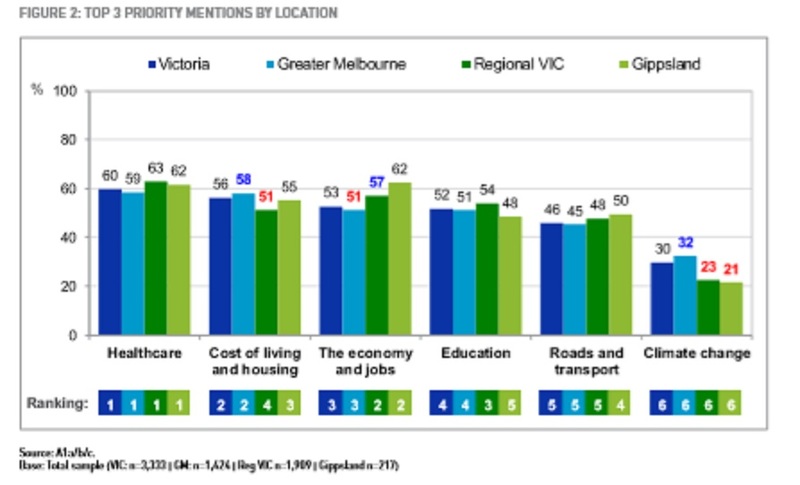 It is a sad fact that a large number of Gippslanders (70% to be precise) still incorrectly think that the current climate change we are experiencing is at least in part a natural process. The consequence of this is that there is nothing they can do about it and so either ignore the problem altogether or relegate it well down their list of priorities. But in this they are mistaken as it can be clearly demonstrated that our current warming is man-made – now generally called the Anthropocene. This confusion often resolves around concepts of time. Geological time is the process by which momentous events occur over inordinately long periods. Some examples include: drifting continents where the Australian plate is slowly drifting north at about the same pace as a fingernail grows; the laying down of the brown coal deposits of Gippsland over millions of years about 70-80 million years ago; the end of dinosaurs now fossilised in the cliffs near Inverloch 66 million years ago and even the total span of human beings on earth of about 3 million years. Natural climate change fits into this category with some ice ages lasting millions of years. Even thousand year periods are hard to grasp. Ancient civilisations are about 6,000 years old. Gippsland was occupied by Aboriginal people 20,000 years ago (and probably a lot longer). Then Aboriginal people could, and obviously did at some time, walk to Tasmania. The end of the last ice age about 18,000 years ago meant as the ice caps melted sea levels rose. Bass Strait was created roughly 8-10 thousand years ago. The current Gippsland coastline formed about 6,000 years ago completing an average sea level rise of about 1 metre per century over those 10-12,000 years. The modern geological age – the Holocene – heralded the rise of human civilisation which occurred over the last 10,000 years when the carbon dioxide levels oscillated at or below 280ppm of carbon dioxide in earth’s atmosphere. Human time by comparison is almost instantaneous. My mother lived to 98 years and the average life expectancy of Gippslanders is about 80 years. However for a child waiting for school holidays or a worker stuck in an unpleasant job waiting for the end of the day human time can appear exceptionally long, or perceived to pass very slowly. But on the other hand the European occupation of Gippsland is less than 200 years and the industrial revolution when humans began pumping large amounts of carbon dioxide into the atmosphere not much older. Since 1780 mankind has burned enough fossil fuels to raise the greenhouse gas levels to about 410ppm – an increase of not quite 50% on the pre-industrial level. The effects of the current warming – land and sea temperatures increasing, melting ice, retreating glaciers, sea level rise – are all being measured in human time and the results are alarming. In geological time this warming is instantaneous and such incidences do not appear in the geological record. Climate Change is happening now and this is not natural.